Oil-Free Acne Wash Is The #1 Dermatologist Recommended Acne-Fighting Cleanser. This Oil-Free Formula Gently Cleanses Deep Down Into Pores For Clear Skin. It Contains Salicylic Acid To Get Rid Of Acne You Have Now And Help Prevent Future Breakouts. Special Skin Soothers Help Prevent Irritation And Over drying. Skin Is Left Clean, Residue-Free And Never Oily. •	Non-Comedogenic (Won't Clog Pores) . 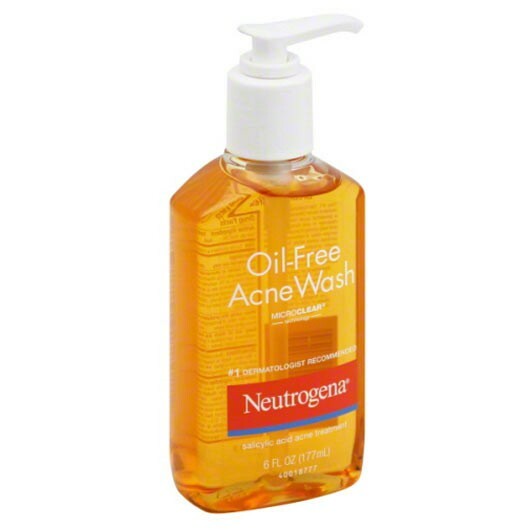 Neutrogena Oil-Free Acne Wash Oil-Free Acne Wash Is The #1 Dermatologist Recommended Acne-Fighting Cleanser. This Oil-Free Formula Gently Cleanses Deep Down Into Pores For Clear Skin. It Contains Salicylic Acid To Get Rid Of Acne You Have Now And Help Prevent Future Breakouts. Special Skin Soothers Help Prevent Irritation And Over drying. Skin Is Left Clean, Residue-Free And Never Oily. •	Residue-Free •	Oil-Free •	Non-Comedogenic (Won't Clog Pores) .